Don’t you hate it when you want to go to two or three conference programs scheduled at the same time? Or if you miss a great program because you can’t go to the conference at all? Or, after you get home from a conference, you can’t remember some great insights you had there? Serendipitously, Linda Warren Seely, the director of the ABA Section of Dispute Resolution, and I had synergistic ideas about how to address these problems. Linda initiated the Young Scholars Project for law students and recent graduates to engage with the Section and DR field by offering low-cost registration to attend the annual conference last month. As part of the Stone Soup Project, I have been promoting the idea of collecting and disseminating information from practitioners at continuing education events. The Stone Soup website includes materials about how to do this, along with some examples from recent events. So we arranged for young scholars to take notes at some conference sessions and write summaries. We encouraged the presenters and young scholars to communicate before the conference to plan how to do this and, in this process, develop relationships. Everyone seemed very pleased with this, especially the young scholars, and the Section plans to continue the Young Scholars Project in future events. 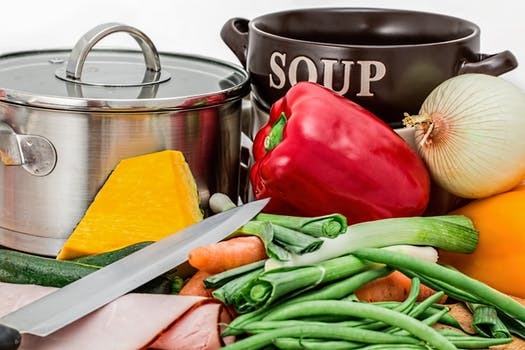 I recently talked with Cheryl Jamison, the executive director of the Association for Conflict Resolution, who was very excited about this Stone Soup process and they are planning to collect and distribute information presented at their annual conference, October 3-6, in Pittsburgh. The young scholars produced the reports linked below, which we hope you will find valuable. Obviously, they aren’t verbatim transcripts or comprehensive reports, but they highlight some key points from the programs. ADR in the International Setting: The Howard Law School World Bank Group ADR Initiative and the Dominican Republic Human Rights Investigation, by Robin Gonzales. Advancing Social Justice Through ADR, by Wendy Baudoin. Cutting Edge Research on Behavior in Groups: Implications for Negotiation and Mediation, by Emma Schmelzer. The Detroit Bankruptcy: The Power of Mediation, by David Lewis. Hybrid Processes Combining Mediation and Arbitration to Apply the Best Process to the Dispute, by Markus P. Beham. Integrating Online Dispute Resolution into the Courts, by A. Devin Bray. Justice and the Quality of Court ADR, by Julia Willis. Living Room Conversations, by Annalise Buth. Overcoming Impasses in Mediation: The Potential of Creativity Against the Constraint of Time, by Andrew F. Mutavdzija. Staying Neutral in a Biased World: The Neuroscience of Implicit Bias, by Nicholas Templeton. To BS or Not To BS. Is That The Question? (Brain Storming, Silly), by Gloriana Gonzalez. I just added a report on another conference session, Hybrid Processes Combining Mediation and Arbitration to Apply the Best Process to the Dispute, featuring Tom Stipanowich and Edna Sussman. It is reported by Markus P. Beham.